We’re in the final stages of finalizing our schedule for the Big Weekend! Stay tuned for specific information about schedule, speakers, and events. The American Studies 50th Celebration is for the American Studies community, and as such we were hoping to garner support and reflections from our community. One way we’d love to do this is by creating a musical soundtrack to our event on Saturday evening that captures the experience and character of our unique program. Please use this Google form to share your musical ideas with us. You’ll also notice our sparkly, new website with our 50th Anniversary themed banner on our homepage. Thank you to Ellen Yaeger (col’17) for our amazing artwork. You can follow along on our lead up to the 50th on Instagram and other social media with the hashtag #amst50. We’ll be posting finds from the American Studies archives, updates and information, and as always, snapshots of our day to day AmStud life! Feel free to tag your own Georgetown American Studies memories with #amst50! 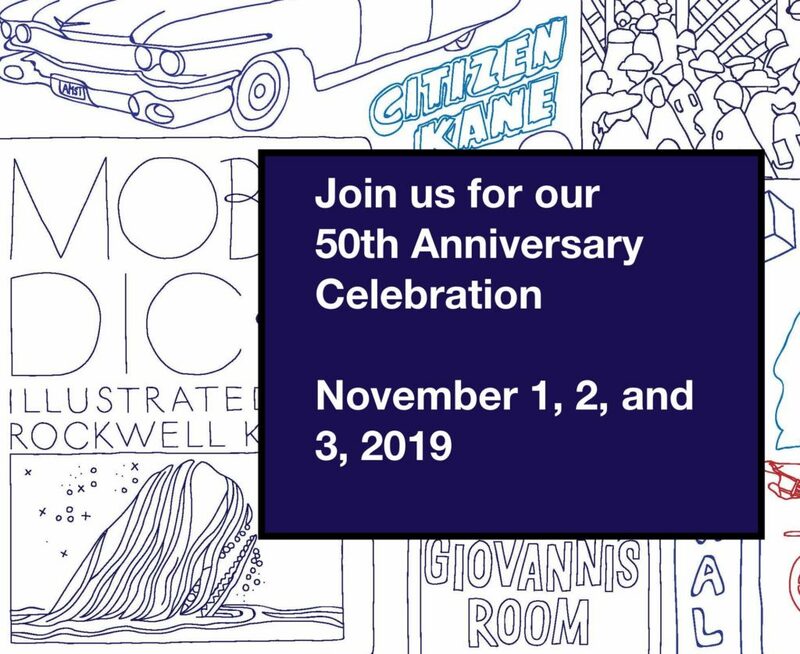 We’ll be celebrating the 50th Anniversity of the American Studies Program November 1, 2, 3, 2019 on Georgetown’s main campus in Washington, D.C. Starting in 1969, innovative, engaging, committed faculty like Dorothy Brown, Emmett Curran, Beth McKeown, Ron Johnson, and Hugh Cloke provided American Studies students opportunities to make connections, across disciplines but also with each other. Their work as leaders of this Program inspired hundreds of students, and our graduates have gone on to inspire others, working in journalism, business, media, education, and other fields to make a difference in the world. To commemorate our first 50 years, we’re launching a campaign to raise funds to ensure a strong future for American Studies at Georgetown. Thanks to earlier gifts from alumni and their families, American Studies hosts speakers, takes our students on memorable field trips, and supports students’ thesis research. We’ve also been able to hire a full-time Program Manager, and we’ve created a faculty fellowship to build investment in the program by professors from related departments. Yet we face one key challenge: stable leadership. To ensure the long-term strength of the Program, we hope to endow the Hugh Cloke Directorship. Naming the position after Dean Cloke honors his foundational contributions to the Program, but it also reflects our aspirations: to ensure that we always have the kind of committed, inspiring leadership he provided. An endowed fund to support this position commits Georgetown to filling the position and supporting faculty leadership to ensure the long-term stability of the Program. Give to American Studies for our 50th Anniversary!